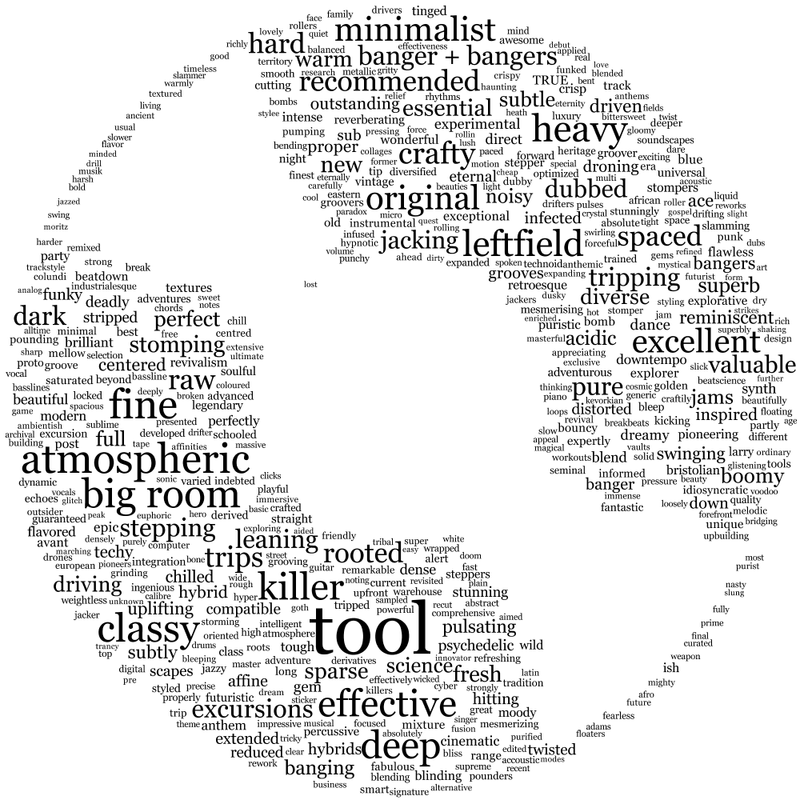 “Now that’s one fine and classy, atmospheric, big room tool, son.” Here’s the data when you crawl Berlin electronic music shop Hard Wax for descriptive keywords. Friend of the site (and one-time CDM Web developer) musician-and-hacker Olle Holmberg has crawled Hard Wax’s website. That’ll be the legendary record purveyor opened by Mark Ernestus back in 1989 in Kreuzberg, Berlin, and still a leading destination for vinyl lovers today. hardwax.com has accordingly accumulated a lot of words about music on their Internet portal, since each time a release like this Drexciya side project comes out, you get a whole bunch of language, too. Olle collected the most important words, and he’s shared his data set. Frequency of words used in @hardwax descriptions minus names, places, labels and common words like “the”, for all words used more than 10 times. Since the data is available as a CSV, you could probably refine it more. For instance, one flaw is that singular and plural versions of words aren’t combined, so the rankings are slightly off. “Banger” and “bangers” he’s manually combined so that one gets a solid ranking. Next challenges: build a random keyword generator, train some machine learning on this, or … try to make music that fits the most popular words? And remember to add the data file, and the image file (if you use the shape variation), to your Processing sketch (Sketch > Add File). 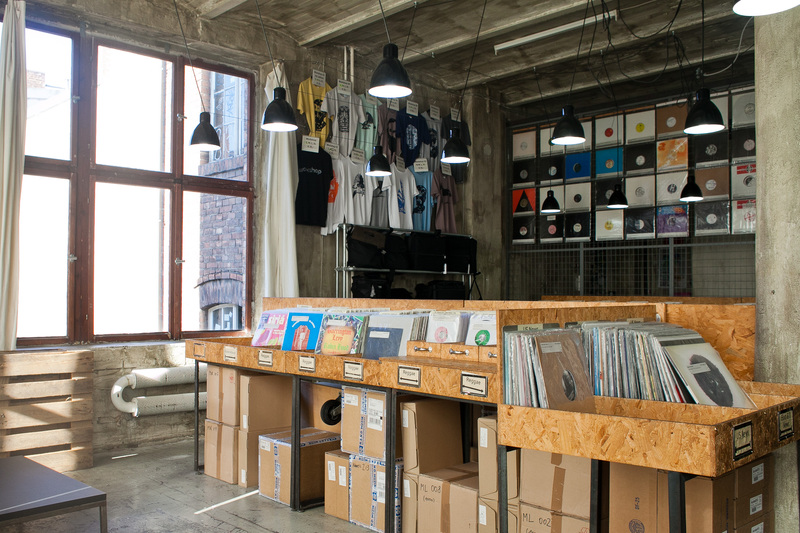 If you want to check out Berlin’s record shops and you happen to make it to town, here’s a good guide. It’s impressively only a little bit dated in terms of locations – Berlin is a weird haven where record shops mostly survive. Hard Wax is a must. Space Hall has become a huge music venue. And digger heaven The Record Loft has recently reopened next to the Sonnenalle S-Bahn stop. If you have any time left after tinkering with Processing, of course, go buy up some records!